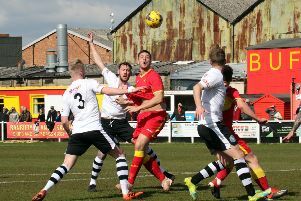 There will be big changes at Banbury United next season with the club introducing several new roles at the Banbury Plant Hire Community Stadium. 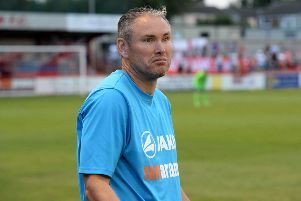 Brackley Town boss Kevin Wilkin has achieved the first part of the job – now he will be keen to finish it. 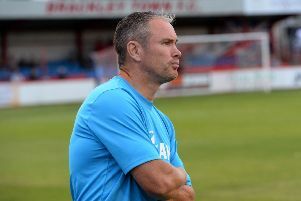 Irrespective of what changes come into place next season, manager Mike Ford wants Banbury United to end this campaign with a flourish. 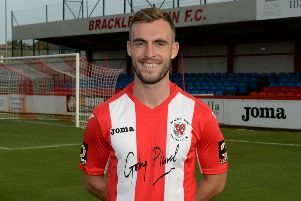 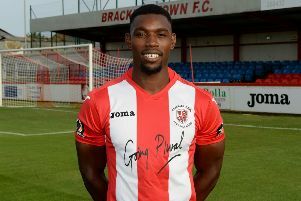 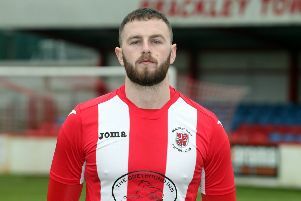 Brackley Town have been stripped of their NFA Hillier Cup crown because they played Alex Prosser and Oran Jackson in the final against AFC Rushden & Diamonds. 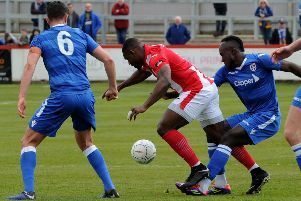 Brackley Town Saints failed to get the victory to keep their outside UHLSport Helenic League title hopes alive. 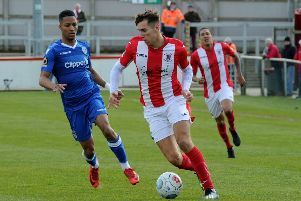 On the day when Vanarama National League North leaders Stockport County and second-placed Chorley both slipped up, Brackley Town were unable to take advantage. 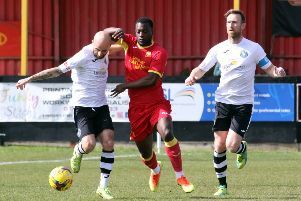 Brackley Town Saints travel to UHLSport Hellenic League leaders Wantage Town on Tuesday still with an outside chance of the title. 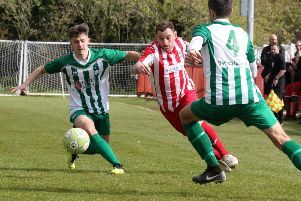 Easington Sports are one final day victory away from clinching the UHLSport Hellenic league title. 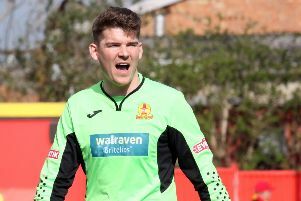 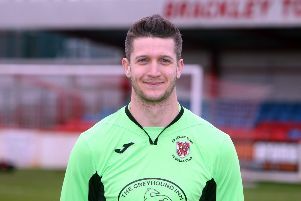 Banbury United boss Mike Ford says keeper Jack Harding must decide what he wants to get out of his football career. 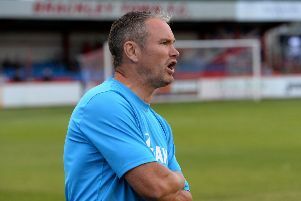 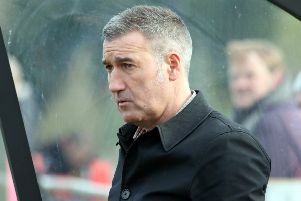 Banbury United boss Mike Ford will be looking for his side to make it three wins on the spin on Saturday. 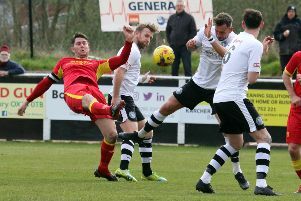 Easington Sports were knocked out of the UHLSport Hellenic League Division One West Subsidiary Cup on Tuesday. 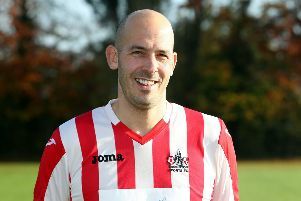 Easington Sports manager Ben Milner must be hoping it’s not going to be a case déjà vu. 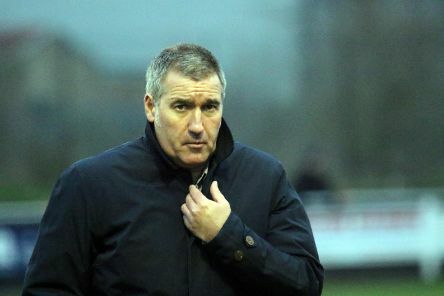 Even the best laid plans don’t always pay off but Mike Ford’s certainly did against King’s Lynn Town. 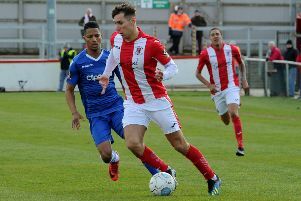 Brackley Town boss Kevin Wilkin knows it’s all about results at this stage of the Vanarama National League North campaign.